Olney Infants School aims for high standards of achievement and a creative and exciting curriculum (“outstanding”, OFSTED October 2008). The well-being and personal development of children was also rated by OFSTED as outstanding. The facilities include a brand-new computer suite, heated outdoor swimming pool, a multi-purpose room with cooking facilities, a special outdoor activity area for Reception children, a wildlife area and pond and extensive fields and playgrounds. School meals can be provided to children and there is a range of after-school activities, as well as a breakfast and after-school service. 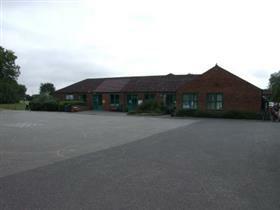 FOOIS (Friends of Olney Infant School) is the name of the Parent Teacher Association (PTA) for Olney Infant School. FOOIS raises thousands of pounds each year to provide a wide variety of additional equipment and actitivities for the children.